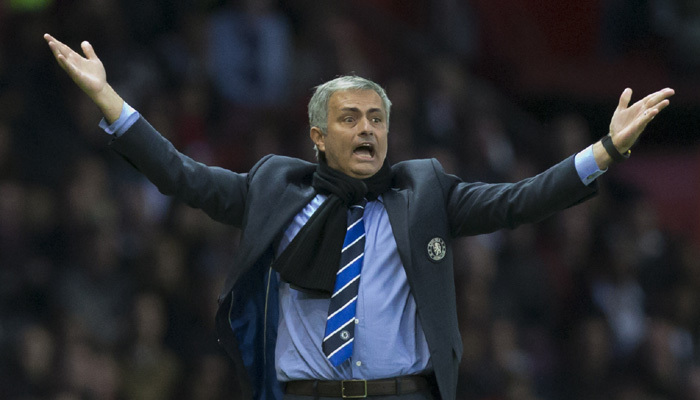 Chelsea call board meeting - Is there any point in sacking Jose Mourinho? The problem for everyone in this situation right now is that Jose Mourinho has never EVER found himself in this position. It's the first time he has had to deal with this sort of thing and you cannot help but wonder if he will turn it around. If he did he would become a much better and stronger manager for it. He would have learnt from his mistakes of this season and would know how to avoid a repeat again. Once he is back on song, the players are playing well and everything is looking good, we all know that he will deliver trophies in most seasons. The more I read of reports that Chelsea had called a board meeting to discuss our current situation and the future of Jose Mourinho, I cannot help but wonder if there is any point in sacking the manager now? Think about it for a second. If the club decides to get rid of the manager, they are looking at compensation (according to reports) of around £10-15m. Let's also not forget his coaching/technical staff and their wages so the figure would rise to around £20m or so. This is monies that can be used towards potential signings in the January transfer window, especially now as we are in the realms of FFP after having already posted a loss for the last financial year (even though those losses were just a Juan Cuadrado sale for being wiped out!). Who would come in? Who would be interested in taking over at this stage and would the appointment only be as a caretaker until someone better becomes available (Juande Ramos can f*** off by the way!)? What difference could a caretaker manager make for six months compared to Jose Mourinho, who signed the extension to his deal this summer with a view to having longevity at a club finally? You would have to believe that if a caretaker manager came in, his remit would be to finish as high as possible by winning as many games as he could with the addition of a trophy and that is what would be asked of Jose Mourinho now. Let's face it, our hopes of a top four finish are diminishing as each game passes. I still believe we have the quality to win games and to go on a decent run to climb the table but we would have to be reliant on what happens in other games now. A top six finish is realistic but for Chelsea to drag themselves out of this mess they need to be playing their strongest side week in, week out to give us a chance of winning. The youngsters will have to take a back seat and any talk of playing them now is a pipe dream based on the situation we have put ourselves in. Who is the better person to see it through now until the end of the season. Jose Mourinho or a caretaker manager for six months? We have to be realistic. Would YOU sack Jose Mourinho now?